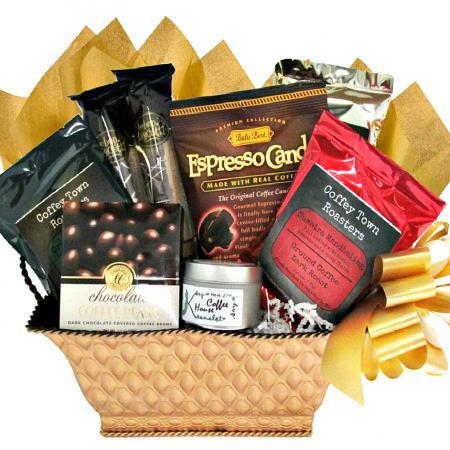 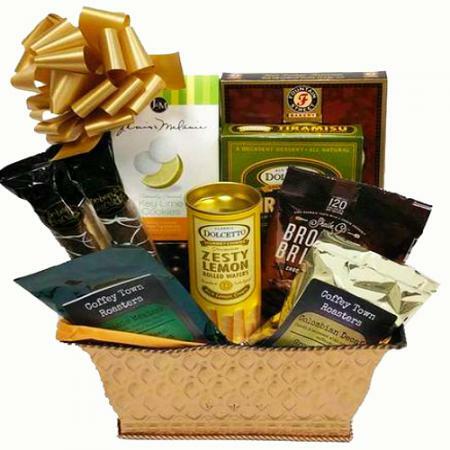 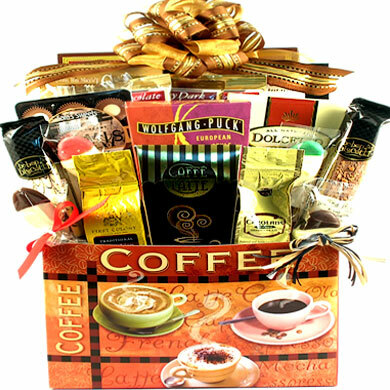 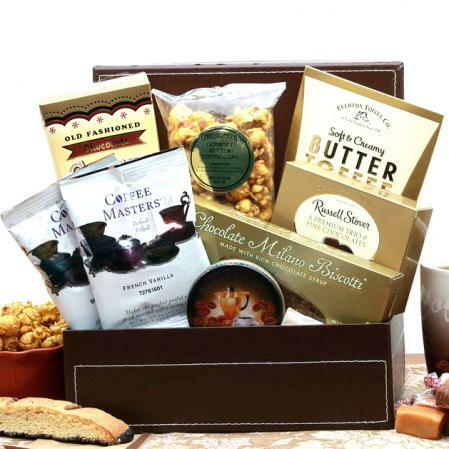 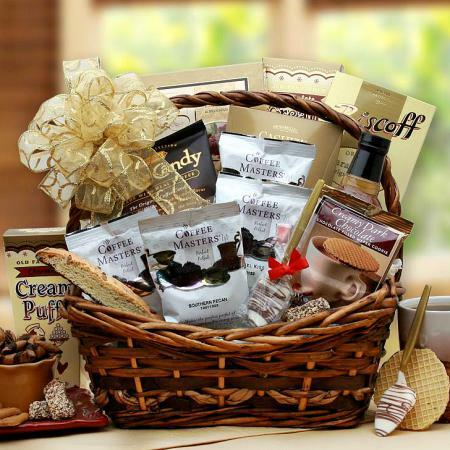 Everything coffee for your favorite java junkie, along with great gourmet assortment to compliment the coffee, enough to nibble, nosh and share. 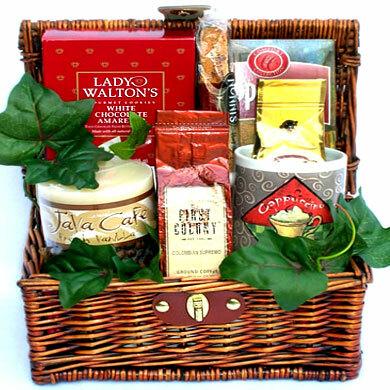 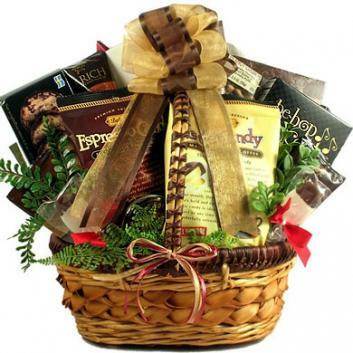 Each and every gift basket we make is lovingly handcrafted with attention to detail by our gift basket artisans, wrapped by hand in cellophane and finished with a handmade bow. 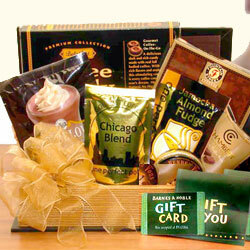 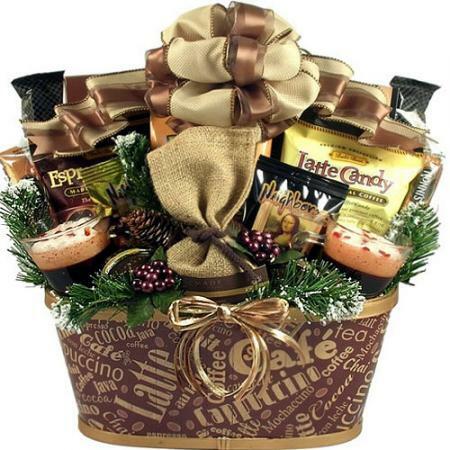 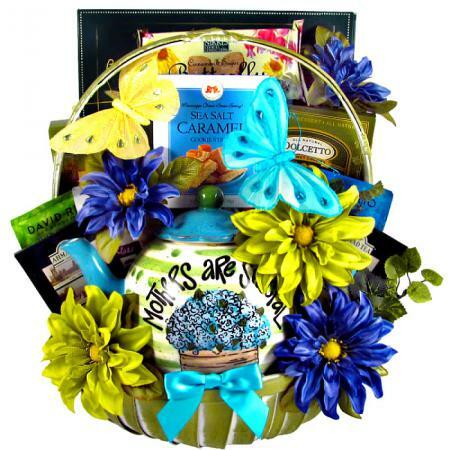 We include your personal message with every gift to be sure your recipient knows just how thoughtful you were.